Most people know the The House of the Rising Sun as a 1964 hit by The Animals about a place in New Orleans—a whorehouse or a prison or a gambling joint that has been the ruin of many poor girls or boys—but few songs have traveled such an intricate journey. 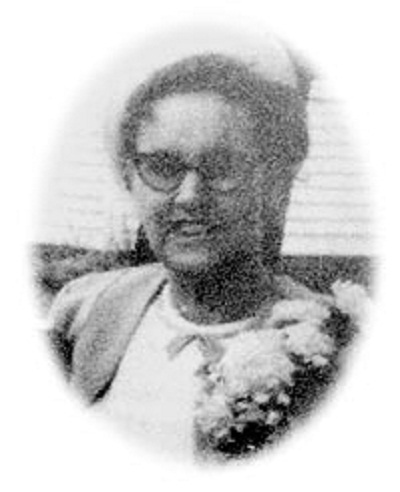 The launch of the song’s world travels can be traced to Georgia Turner (above), a poor 16-year-old daughter of a miner living in Middlesboro, Kentucky, when the young folk music collector Alan Lomax captured her voice singing The Rising Sun blues in 1937. Lomax deposited the song in the Library of Congress and included it in the 1941 collection Our singing country. In short order, Woody Guthrie, Pete Seeger, Lead Belly, and Josh White learned the song and each recorded it. From there it began to move to the planet’s farthest corners. Today, hundreds of artists have recorded House of the Rising Sun, and it can be heard in the most diverse of places—Chinese karaoke bars, Gatorade ads, and as a ring tone on cell phones. The song’s journey is a case study of how a cultural artifact moves through the modern world, propelled by technology, globalization, and recorded sound. This according to Chasing the Rising Sun: The journey of an American song by Ted Anthony (New York: Simon & Schuster, 2007). Below, Lomax’s original recording of Georgia Turner. BONUS: Skitzo offers an alternative rendition. I am doing a small article about Georgia Turner on lyrics.wikia.com and I’d like to ask if I can use her picture from your website for this article. It’s fine with us. Good luck with your article!